Exclusive! 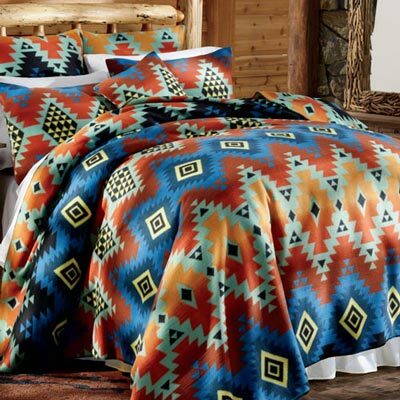 Rich, warm colours and traditional Southwest-style pattern make any room a cozy getaway! Our Prairie Sunset Fleece Blankets and Accessories are whisper-weight polyester fleece is an ideal option for any season. Super-soft and easy-care. Machine wash. Imported. Pattern placement may vary slightly. Queen Blanket -90" x 90"